Every single company in the world is losing money every day thanks to their inability to keep expenses under control. I know it’s impossible to reach a level of perfection, but throwing money away when you could easily save it is expensive. If you’re familiar with British currency, you’ll understand what they mean when they say by looking after the pennies the pounds look after themselves. In other words, even small savings will start to accumulate, so here are only a few ways you can reduce your office expenses. Certain individuals don’t need to come into the office every day in order to do their job. They could just as easily work from home, and we’re already seeing this become popular as businesses realise they get just as much work done as anyone else. It’s likely only a certain amount of your employees will be able to work from home, which will depend greatly on what they do, but you’ll save a lot if you don’t need as much office space. Those who work from home tend to call in sick less often too, which is another one of many ways it will help you save money. A good example to use here is ink cartridges, because they’re expensive and you’ll always need to print things. Can you imagine how much money you would save if you bought your ink cartridges in bulk? It’s sometimes hard watching people mess up when they print something because you can see the money slipping away. There will be many other office supplies you’ll go through pretty quickly, so do yourself a favor and buy them in bulk when possible. You can always negotiate with suppliers to see how low they’re willing to go, and no matter what happens you’ll always save something. Back in the good old days, employees would have to travel around the world to meet people. You have to remember this has been a tradition long before the internet came into our lives, and today you could just as easily have meaningful meetings with people over Skype. That doesn’t mean to say there won’t be times when travel isn’t essential, but don’t get caught in the past by acting in the same way you would have a few decades ago. Business class tickets and hotel rooms aren’t exactly cheap, so you’ll save a huge amount by cutting down on travel costs. You’ve heard people say you need to spend money to make money, but you also need to spend money to save money. Do you know how much it will cost you to fix the damp patch on your ceiling? A lot less than it will cost you a few months down the line when the damp patch gets bigger and mold begins to form. Your ceiling might be perfect, but I think you understand what you need to do. Even though you’ll have to spend money to fix a problem when you first stumble across it, you’ll always save money as it can only get worse. Do you know what happens as soon as you buy a new printer or VoIP telephone? They automatically fall into the used equipment category, so why would you buy brand new equipment if you could buy used equipment as long as it was in good condition? The amount of money you could save will be much greater if you run a large company, but even if you only have a few employees you’ll see quicker progress investing in marketing instead of buying identical equipment at a higher price. Look out for companies going out of business for even better deals. The majority of your expenses will go towards paying your employees, which is fine as long as they’re valuable. Too many companies hire the wrong people, and this wastes a great deal of money. I know you’ll save some initially as you’ll not need to spend money hiring someone once a position has been filled, but you’ll start losing money when you have to fire them then go through the entire process again. Always take your time hiring the ideal candidate for the job, because employees have a large impact on your expenses. 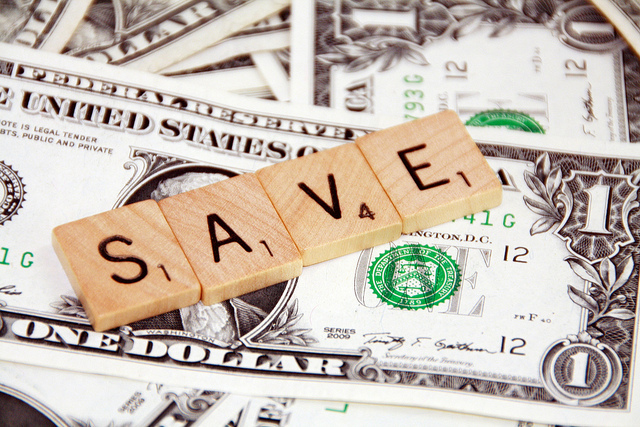 Once you enter a frugal mode you’ll find saving money becomes easier, and the only difficult part is getting started. Nothing we’ve talked about today comes close to being hard, but they can all save you a lot on office expenses. We’ve only listed a few today so you won’t be overwhelmed, but once you start implementing them and they become a habit you’ll soon find hundreds of other ways to save money. Can you even begin to imagine how much extra money you’ll have accumulated at the end of the year?